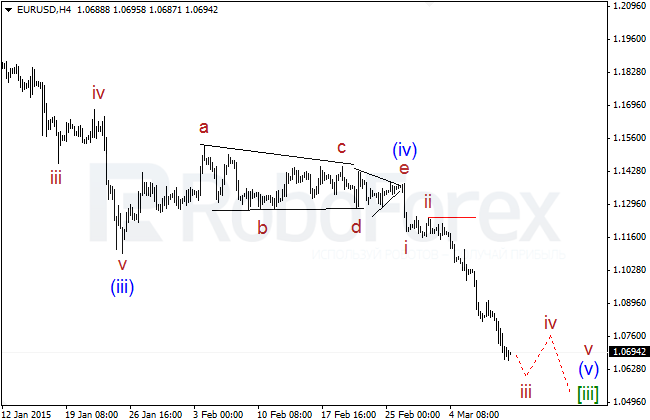 Euro continues falling inside wave (v) of [iii]. Right now, the pair is forming a long double extension inside the third wave, that’s why in the nearest future the market is expected to continue moving downwards. 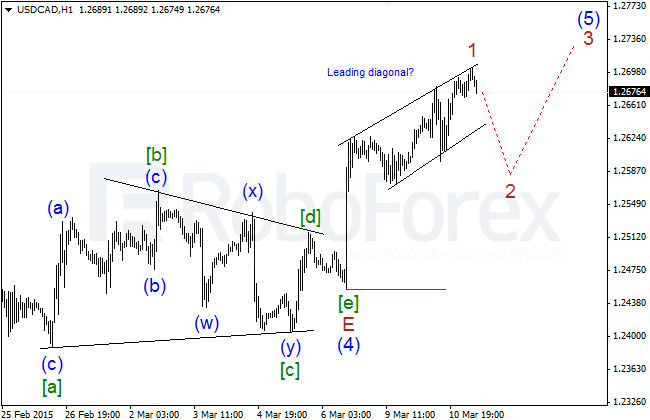 Probably, wave iii of (v)of [iii] is taking the form of double extension. The price is moving precisely inside a descending channel. 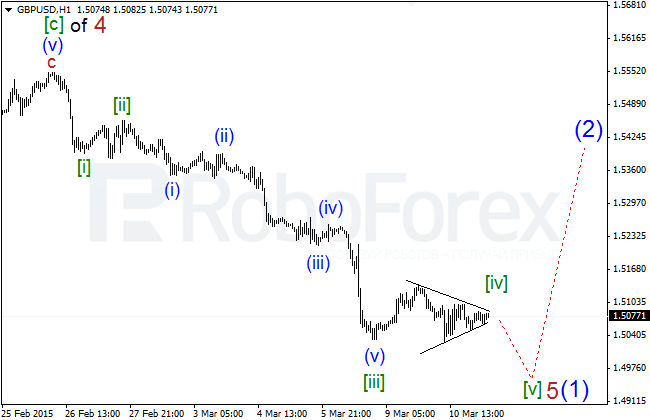 In the nearest future, the market is expected to start a sideways movement inside wave  of iii of (v). 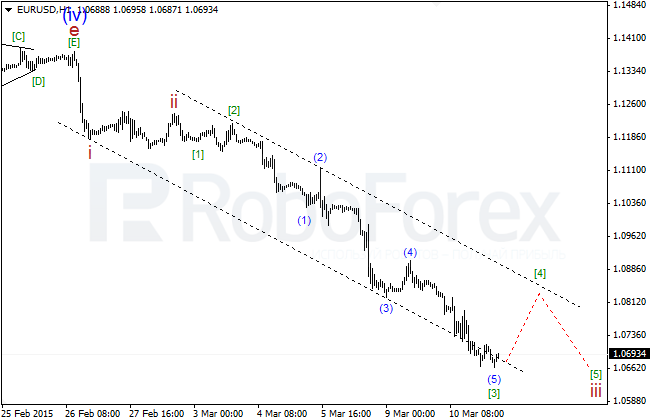 Pound is still forming a large descending impulse 5 of (1), which may be completed quite soon. 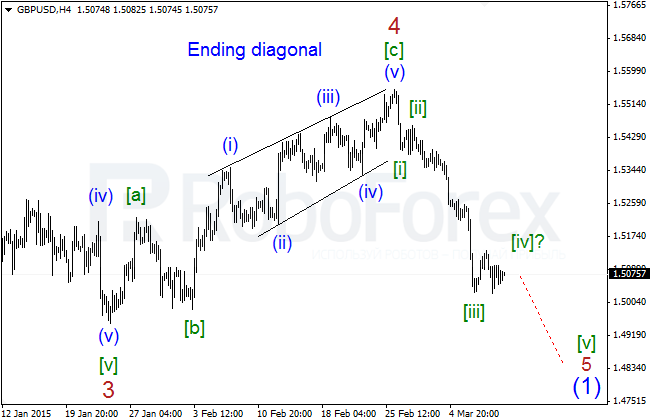 After finishing the current sideways movement, the price may continue falling. Most likely, the current price movement inside a horizontal channel may be described as horizontal triangle inside wave [iv] of 5 of (1). In the nearest future, the pair may is expected to continue moving downwards. 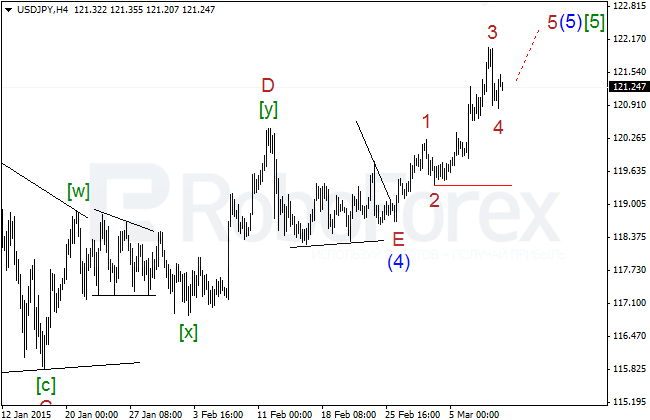 Most likely, Yen has completed wave 3 of (5) of , as well as the correction inside wave 4 of (5) of , At the moment, the market is expected to start a new ascending movement. So, probably the pair has finished wave 4 of (5) of , as well as the first five-wave ascending structure inside wave 5 of (5) of . In the future, the market is expected to reach a new local high. 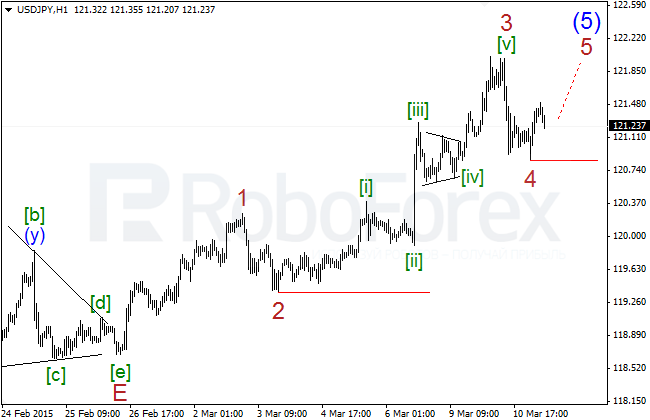 It looks like the pair has finished wave 1 of (5) of  just now and later is expected to start a local correction inside wave 2 of (5) of , which may take the form of zigzag. Probably, wave 1 of (5) of  is taking the form of leading diagonal triangle with an extension inside its first wave. 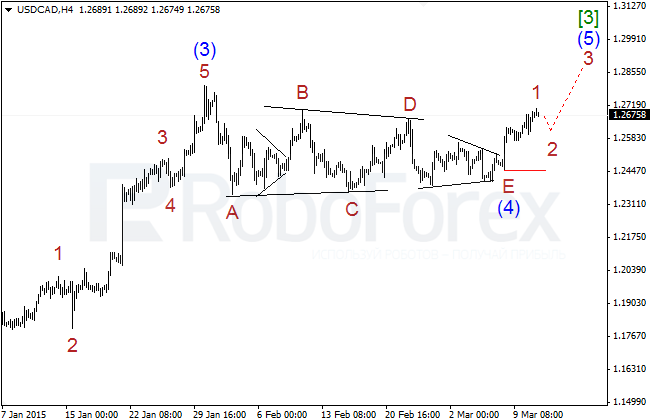 In the nearest future, the price is expected to fall and form zigzag inside wave 2 of (5) of .